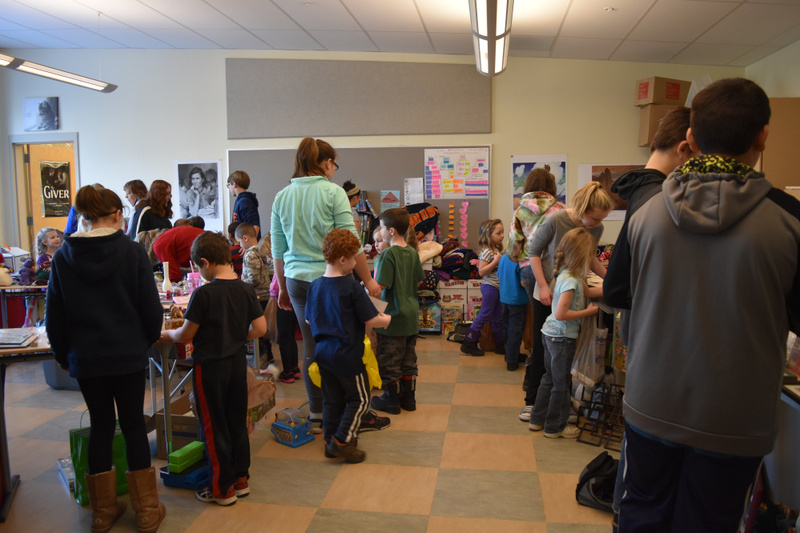 Younger students shopped for gifts for their families. 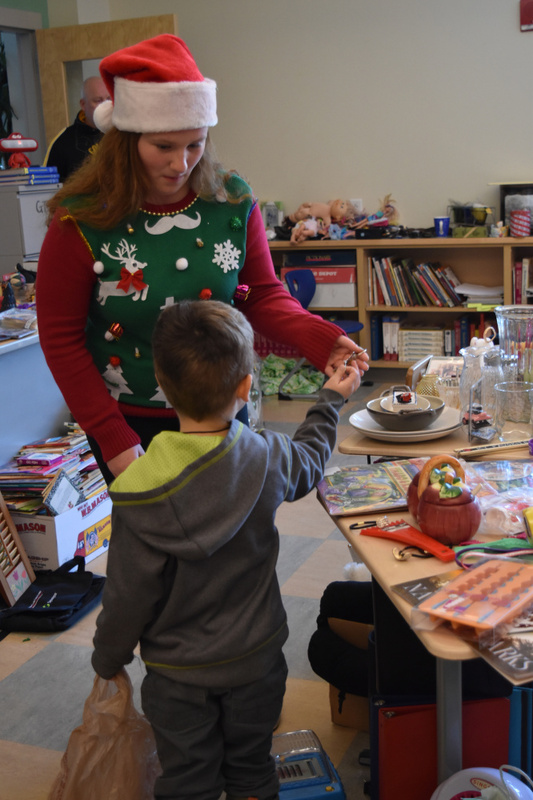 Chelsea Elementary School’s annual Holiday Table was in full swing during the few days before school vacation. Because of the generosity of parents and staff, there were many items for students to choose from for their holiday shopping. Seventh- and eighth-grade students acted as personal shopping assistants and gift wrappers for the younger students purchasing gifts to surprise their families.